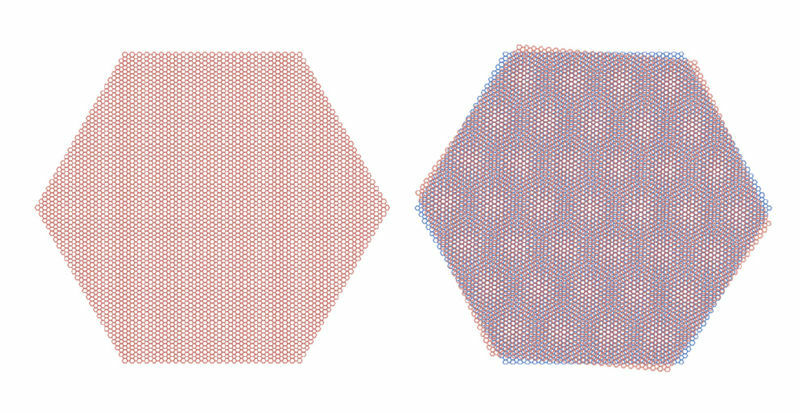 By twisting a sandwich of graphene to the "magic angle," a superconductor was born. Researchers brought this incredible property out of graphene almost by accident. They were exploring what the orientation known as the “magic angle,” or 1.1 degrees, would do to graphene; theories have long predicted that offsetting atoms in layers of 2D material by 1.1 degrees would make electrons behave interestingly, but scientists haven’t known just how interestingly. After the researchers applied a small electric field the two sheets became a superconductor, and continued to display these properties in multiple experiments. “We have produced all of this in different devices and measured it with collaborators. This is something in which we’re very confident,” said Pablo Jarillo-Herrero, a physicist at Massachusetts Institute of Technology (MIT), to Nature. 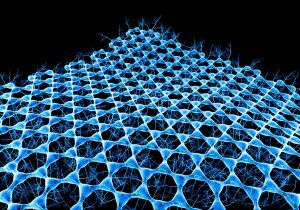 Scientists have known about graphene’s incredible conductive abilities for a while; in fact, just last year, scientists achieved superconductive abilities in graphene by doping the material with calcium atoms. However, this is the first time superconductivity has been accomplished without altering graphene. Not only did these physicists achieve superconductivity, but they may have reached an elusive and ultra-powerful form of superconductivity known as p-wave state. This has yet to be confirmed, but it is an intriguing possibility. Another reason this discovery, published in two Nature papers, is so exciting is that it could be the key to eventually developing a superconductor that can work at room temperature. Most superconductors only work at temperatures close to absolute zero. In fact, the warmest temperatures in which current superconductors can operate is around −140 degrees Celsius. Cooling superconductors is not only impractical for larger-scale use; it is also difficult and expensive. Superconductors running at room temperature could make everything from medical technology to main power grids and personal electronics more efficient. Once thought to be impossibly expensive to produce on a large scale, producing and using graphene for larger projects is now attainable. These studies are only the first to explore the abilities of a purely graphene superconductor, but the potential of this supermaterial seems truly astounding.